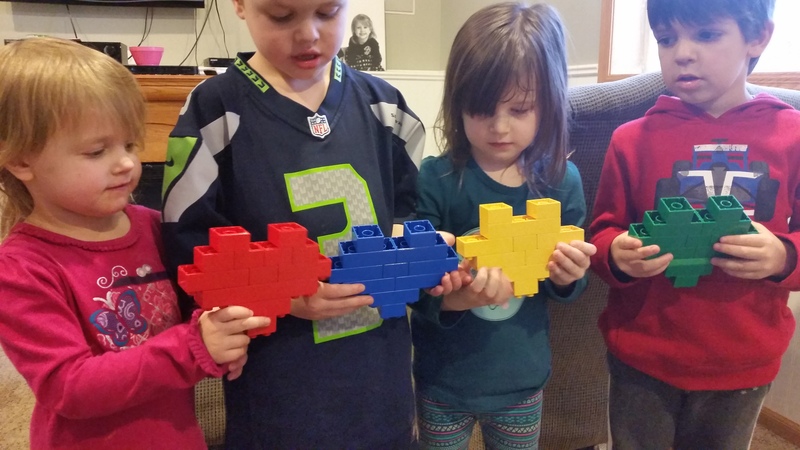 I hate to pick up Legos but these are always a favorite at our house. 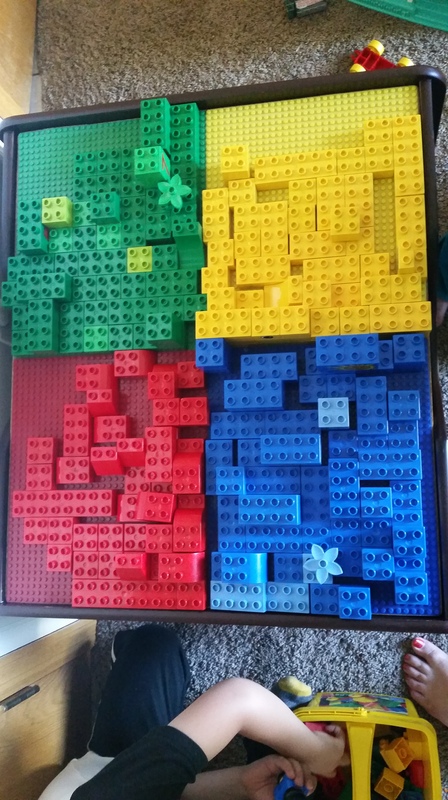 Today 4 of my preschoolers spent an hour this afternoon sorting and making this Lego creation. We have about 5 sets of Duplo Legos and this Kidkraft Lego and Train Table.